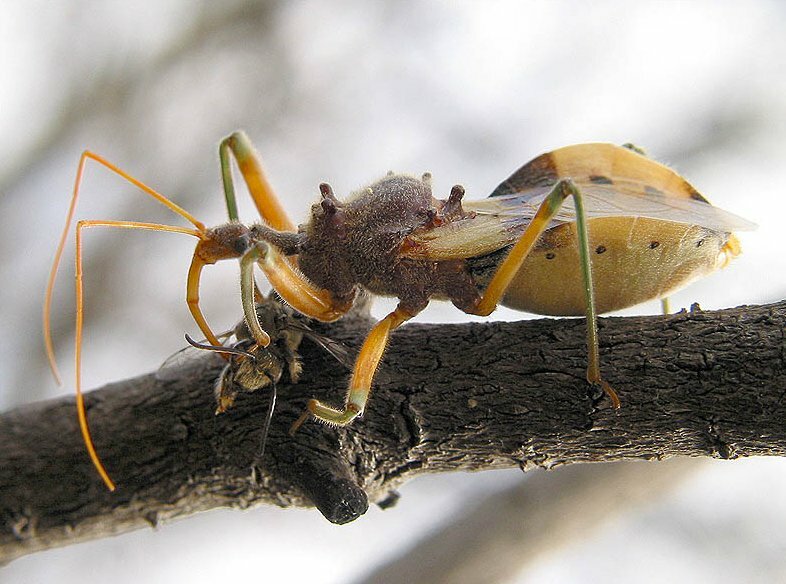 Description: Members of the family Reduviidae have an elongated head and a three-segmented proboscis that fits into a central groove on the prosternum. 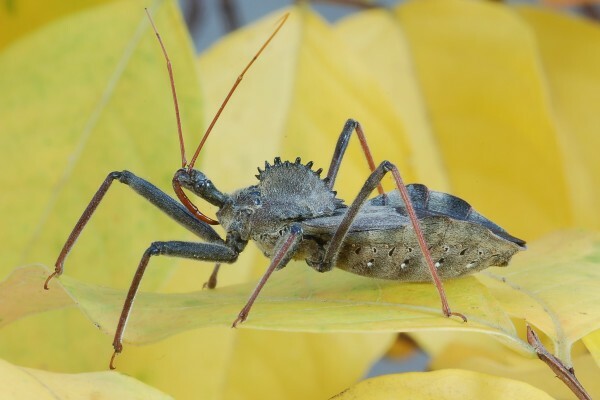 Raptorial front legs are covered with hairs and spines that are used for catching prey. 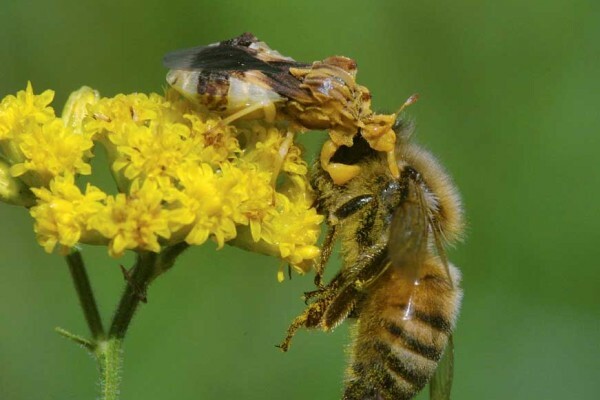 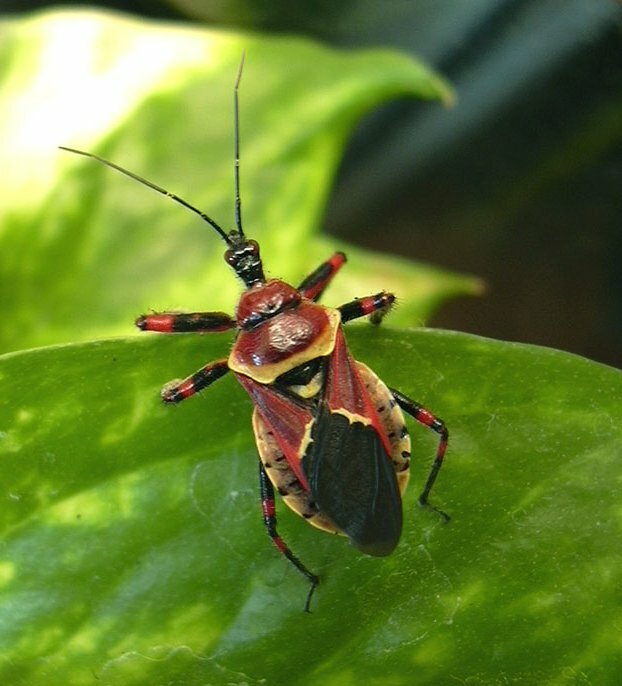 The abdomen is often wider than the rest of the body and extends beyond the width of the wings. 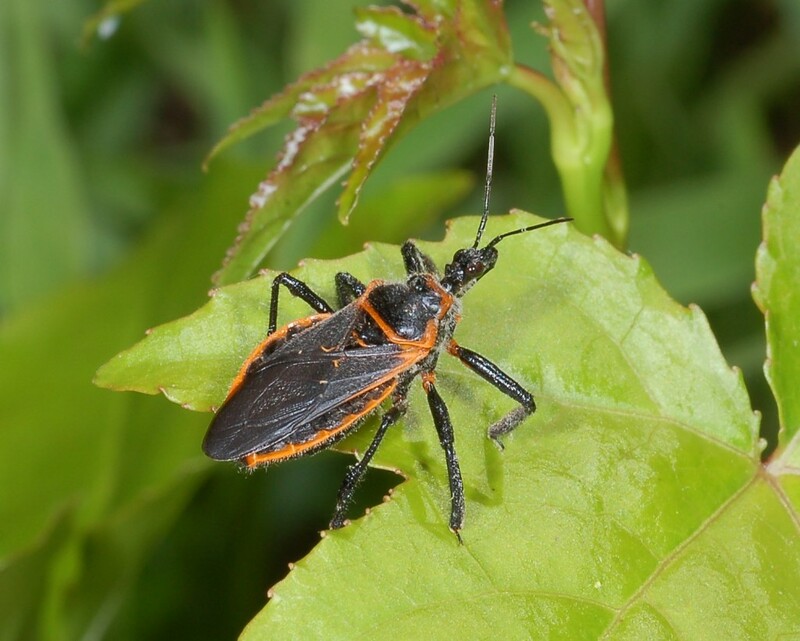 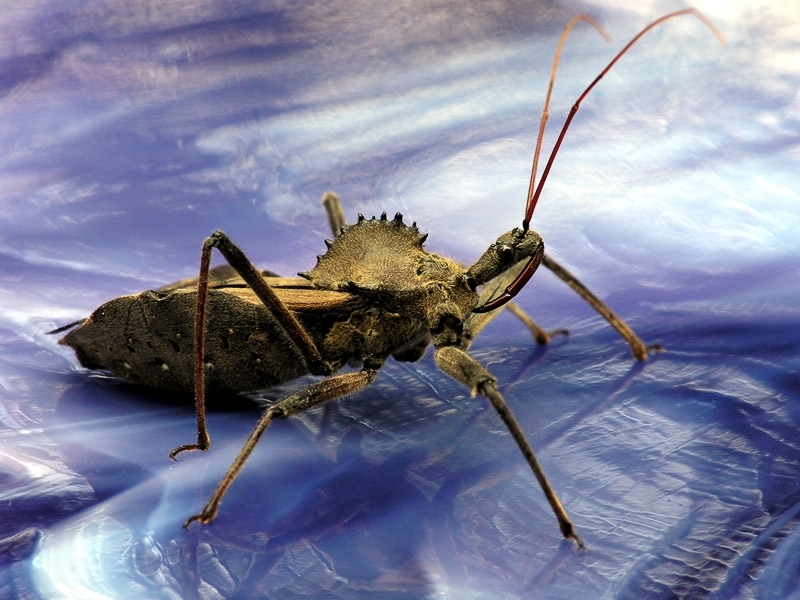 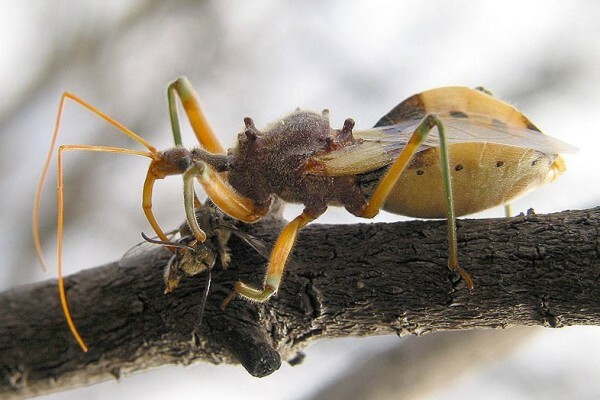 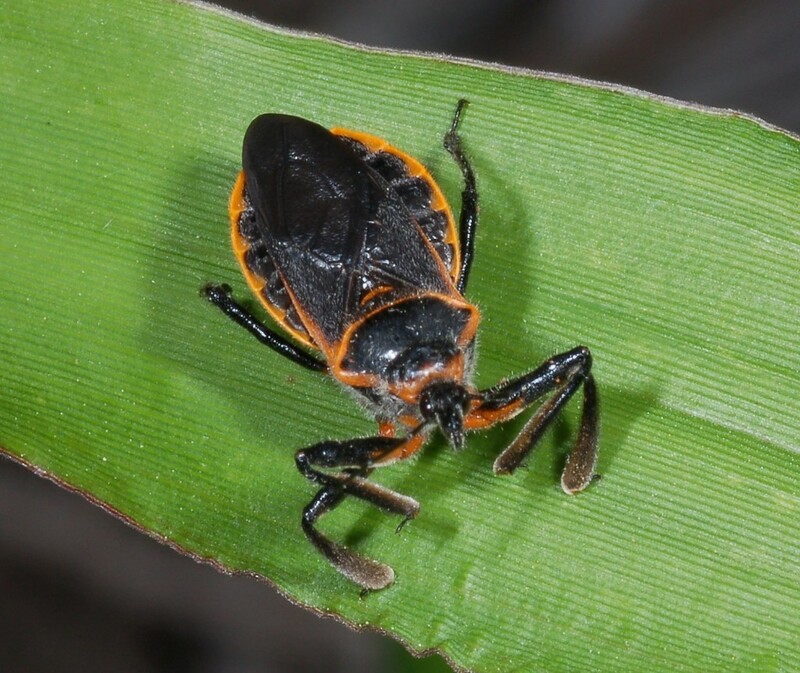 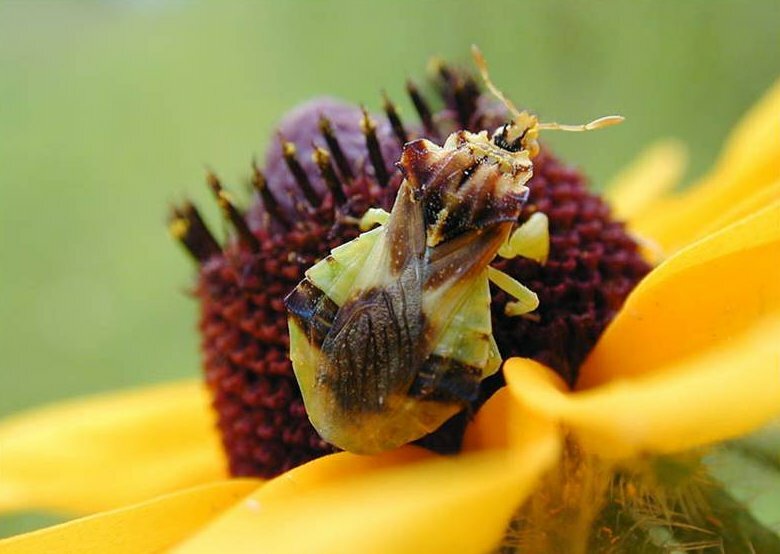 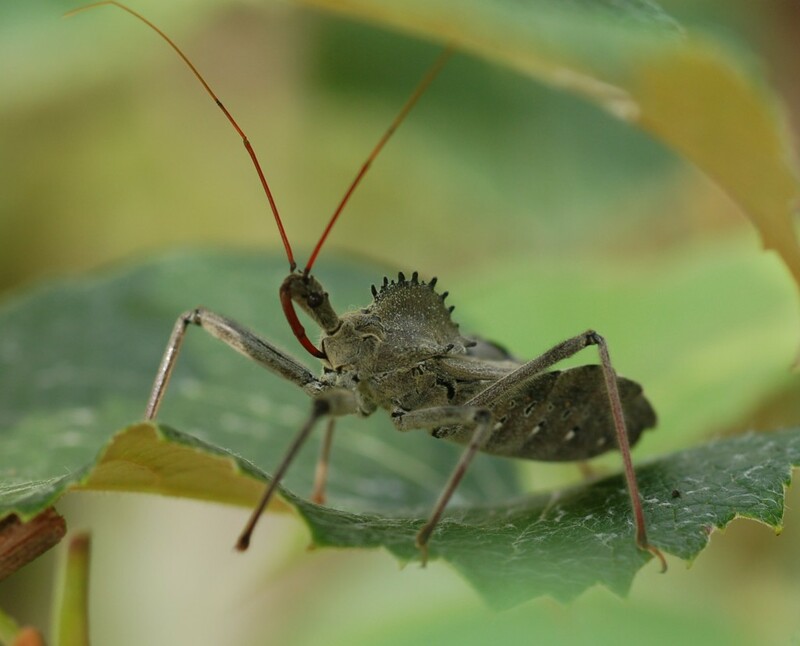 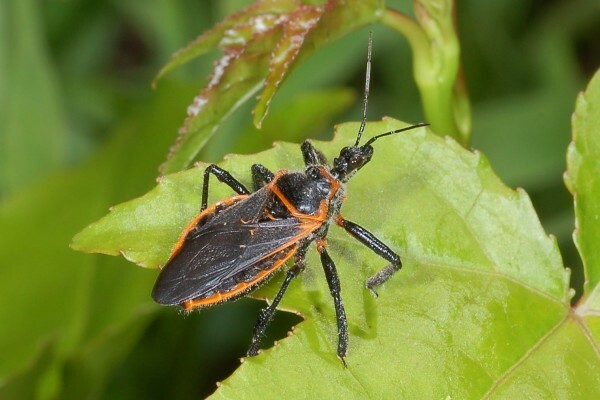 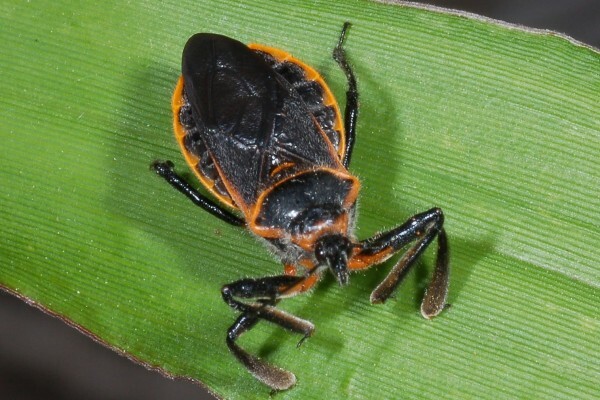 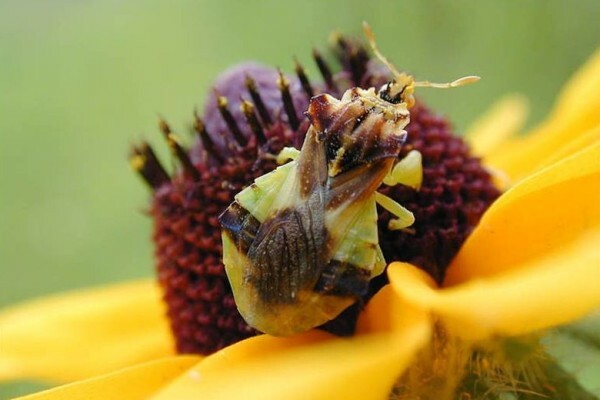 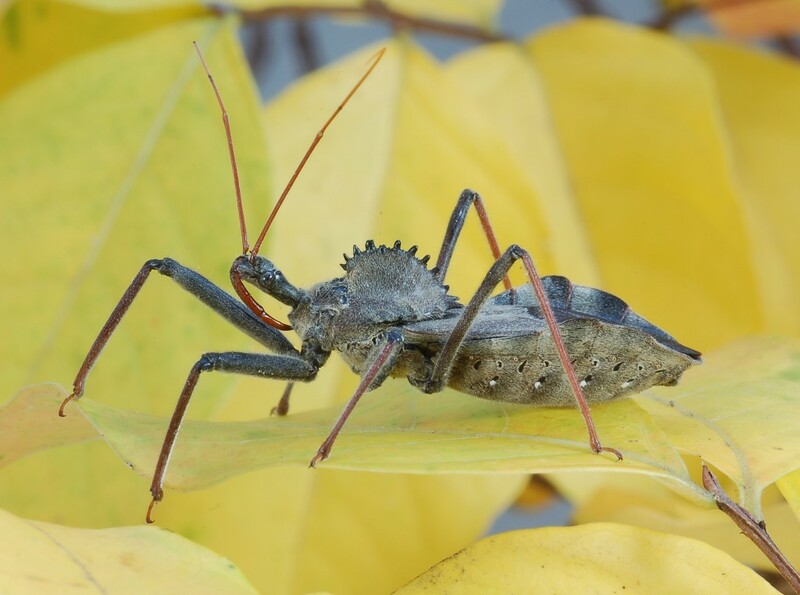 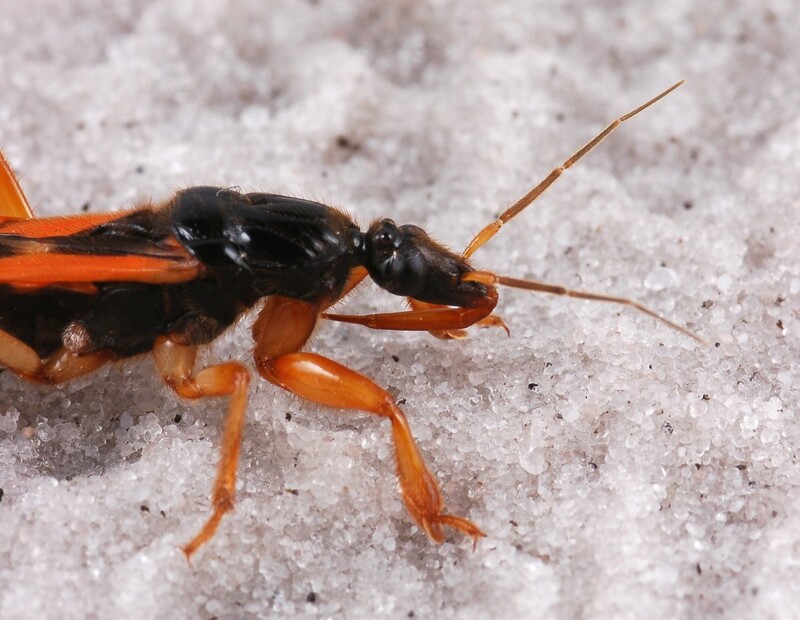 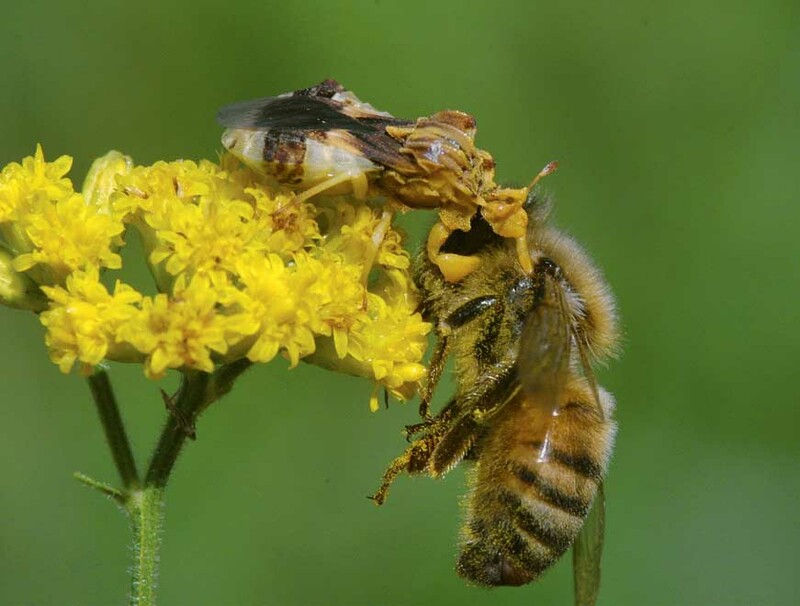 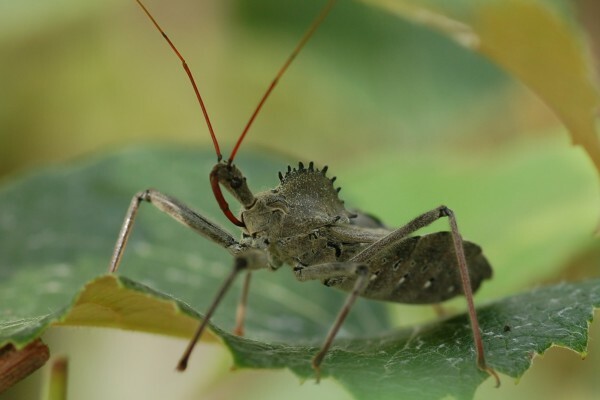 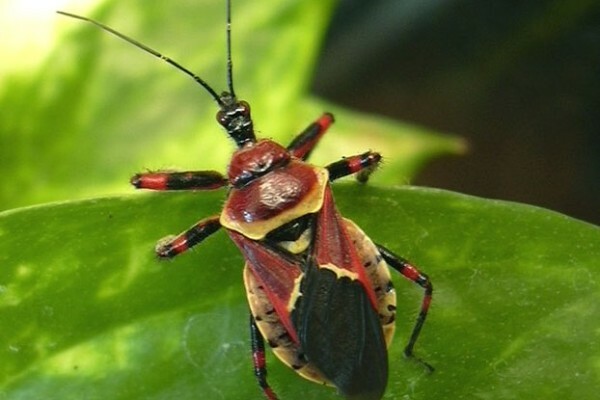 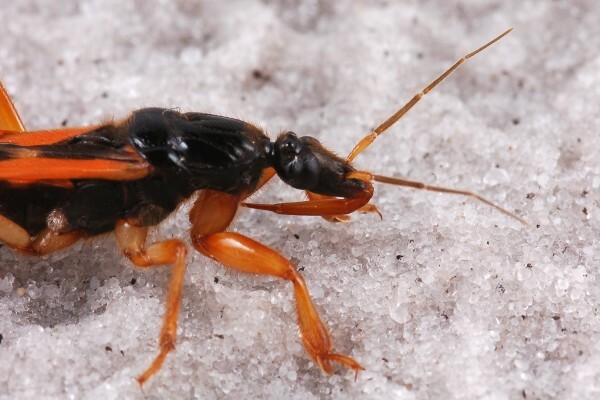 Most assassin bugs are predatory; however, some species are blood suckers.